PetWORKs was established as a software company in 1998. "Doll Division" was set up in 2001 at the debut of "momoko". "momoko" is a one-sixth scale fashion doll (27 cm tall with moveable joints) that was unveiled in August 2001 at "DOLLHEAD EXHIBITION 2001". She was designed under the supervision of Namie Manabe, the art director for the internet mail software "PostPet" and a lover of fashion dolls. Popularity of "momoko" has been spreading beyond doll collectors, and besides, she has been well accepted in general young women as a fashion item, also as an art piece. "momoko" has worked as a fashion model for real fashion brands, and has modeled for a variety of ads. 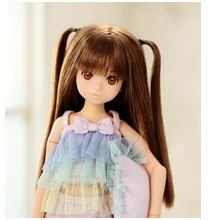 In April 2005 she made a major debut as "momoko DOLL", manufactured and released by Sekiguchi Co Ltd., a famous doll company. 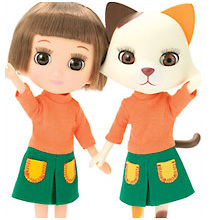 "PW-momoko" is produced by PetWORKs. PW-momoko has two lines, "CCS (Close-Clipped Sheep)" and "ae". 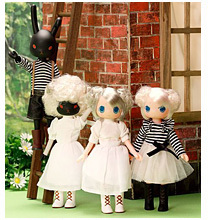 CCS is the one-sixth scale fashion brand by Namie Manabe, the creator of "momoko". The original line of PetWORKs of "momoko" and her outfits, the main items of which are knits. 1) Collection models, released twice a year. 2) Home models, in relaxing outfit. 3) Today's models, made for events in a small lot. "ae" stands for "another edition". "ae" stands for "artist exclusive". "ae" stands for "and everything". 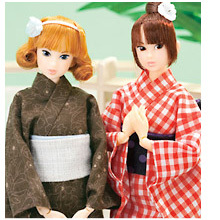 "ae" momoko is the models directed by doll artists. Two little dolls DecoNiki are a great pair. Odeco-chan is a girl and Nikki is a cat. Their debut was in 2006. They are 20cm tall, have sleep eyes. Celebrating their 5th anniversary, mischievous "Boy" version of Odeco-chan and Nikki debuted in 2011. Usaggie is a doll looks like a rabbit. "Usagi" means rabbit in Japanese. Sometimes Usaggie transforms itself into a different style, also is longing for being human being. Although Usaggie is very shy, hopes to become friends with you. #The size of bodies of "Odeco-chan and Nikki" and "Usaggie" are same, they can share outfits and shoes. She is a palm-size girl, the little-sister doll "ruruko". In October 2013, PW fashion doll "ruruko" suddenly appeared like a comet and instantly became popular. The doll's characteristic is her relaxing, soothing atmosphere that could be referred to as the little sister character. The body is Pure Neemo XS body of Azone International which has mobility as well as natural bodyline; she is approximately 20cm tall, charmingly palm-size and capable of various posing. The possibility of the doll x kids fashion is infinite. ruruko is a girl who enjoys fashion more freely, more daringly. You can shop in English, item will be shipped internationally! 1017-1018 Miramar Shopping Arcade, T.S.T., Hong Kong.